Need a break from that same old workout? We have just the classes for you! Small Group Training Classes are now forming and we offer a variety of different classes that meet your needs. Small Group Training is results-driven progressive training designed to take you to a new level! Enjoy the benefits of personal training combined with the motivation that comes from being part of a team. A fun, affordable alternative at the fraction of the cost of one - on - one training. If you are interested in taking any of the following classes, please pick up a registration form at the 2nd Floor Fitness Desk and sign our interest form. Our class sizes are very limited! Please call 215-558-1588 for more information. Or, complete our Small Group Training Interest Form. 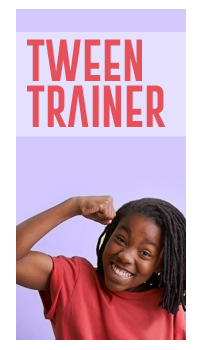 The full-body workout for tweens, ages 8 - 12, covering the basics of body weight exercises, strength training and cardio conditioning. The perfect chance to instill strong fitness habits at an early age!